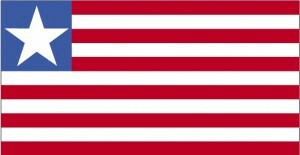 Douglas Farngalo, a graduate student from Birmingham City University and a previous contributor to RD4 , talks about the use of radio in his homeland of Liberia. 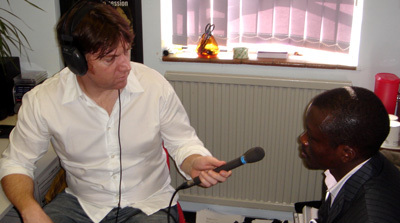 Topics of discussion include; Douglas’s personal story as a radio journalist/presenter/producer, along with his thoughts on the democratic ability of radio, religious stations in Liberia, how radio manages to reach remote regions of Africa – and how radio promotes the popularity UK’s Premiere Football League in Africa. Last year R4D received an email from Godspower Oboido, who’d visited the website and wanted to get in touch regarding an exciting new initiative he had started in Nigeria. Godspower is, in his own words, “on a mission to get rural communities across Africa listening to radio” – and he founded the “Listen Africa” project “to radically encourage radio for change”. Luckily Godspower was visiting the UK long enough for a meeting at Birmingham City University, where the clip below was recorded. In the video he discusses the plans of “Listen Africa” to create various educational radio programmes which reflect the curriculum of the Nigerian Ministry of Education. 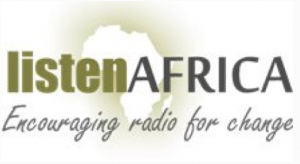 In 2013, Listen Africa intends to set up listeners clubs in Nigeria, Malawi and Ethiopia – “giving listeners the opportunity to voice their opinions in the broadcasting of issues that has a direct impact on them”. R4D returns to Bush Radio – believed to be Africa’s oldest community radio station project – which is based in Cape Town, South Africa on 89.5 MHz FM. This audio slideshow follows up on comments made in an earlier post regarding “Hate Radio”; 20th of Nov. 2010. The idea of Bush Radio started in the 1980’s when community activists and alternative media producers began to explore ways of using grassroots media for social change – and as an alternative voice to the media available under apartheid. In this clip – the head of news at Radio Nigeria, based at the Lagos Head Office, discusses their service – the station’s history, and introduces you to the News Dept. 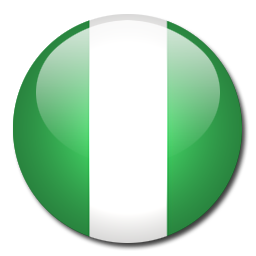 Radio Nigeria is a member of the FRCN’s mediumwave service, and has 25 stations located throughout the country. 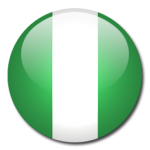 Together with Voice of Nigeria, it’s one of the largest radio networks in Africa. This is an interview with Papa Mbongo, publicity specialist at the South African Broadcasting Corporation. 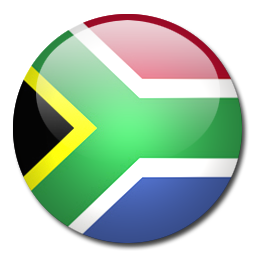 The SABC was established by an Act of Parliament in 1936 taking over from the African Broadcasting Company which had been responsible for some of the first radio broadcasts in South Africa in the 1920s. 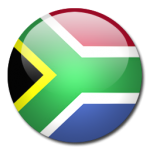 The SABC established services in what were then the country’s official languages, English and Afrikaans, with ethnic languages such as Zulu, Xhosa, Sesotho and Tswana following later. Well, R4D got a bit of a shock to see the Youtube clip about Joshua Arap Sang (Sept. 26 post) receiving over 8,000 views overnight. It’s hard to reconcile the guy in the video with the crimes he’s supposed to have committed. My first reaction was – where is the evidence? As Julius Lamaon, the CEO of Kass said (Nov. 2 post) where is the “scientific data”? The University of Dar Es Salaam is the oldest and biggest public university in Tanzania. One of its schools is the School of Journalism and Mass Communication (SJMC) which offers Bachelor degree programs in Journalism and Mass Communication. In this audio slideshow Maria Alphonce, a student at the school, discusses the school’s community radio station “Mlimani Radio, 106.5 FM – which provides a valuable “hands-on” experience for media students to practice what they’ve learnt in the classroom. 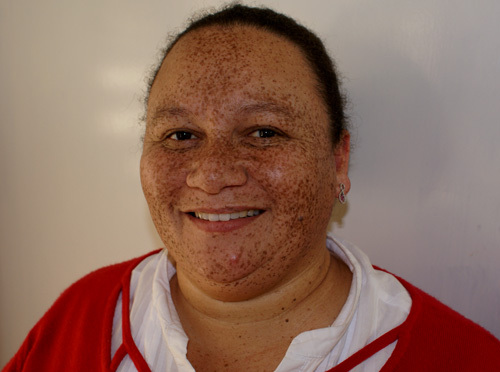 In this entry, Brenda Leonard, Managing Director of Bush Radio in Cape Town, talks about “Hate Radio”, the importance of community radio, and how South Africa uses strict regulations to try an curb offensive broadcasting. 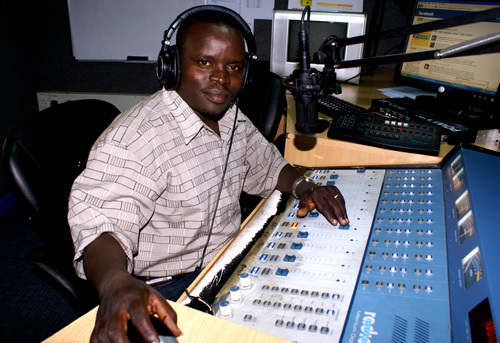 This posting follows on from an earlier blog about “Hate Radio” (Nov. 2nd) featuring Julius Lamaon, CEO KASS FM Kenya. 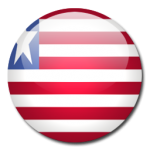 This post and slideshow is a follow-up to an earlier article about the partnership between Birmingham City University and the Press Union of Liberia. Douglas also discussed a scheme to send the University’s decommissioned portable audio recorders – along with new microphones / cables / batteries / training manuals etc. 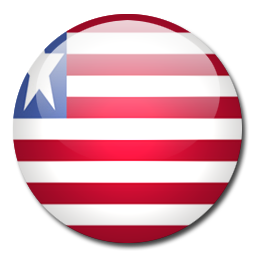 – to the Press Union in Liberia so they could be distributed to Community Radio Stations. This entry features the Dean of the Faculty of Journalism and Communication, at Addis Ababa University. And for the Govts. harsh treatment of reporters. Addis Ababa University is the oldest institution of higher education in Ethiopia – and their radio classes are proving to be very popular. They aim to develop their radio courses in the future by establishing a “real world” community radio station on campus. This interview was recorded in July, 2010. Thanks to the British Council in Addis for their assistance in arranging the meeting.